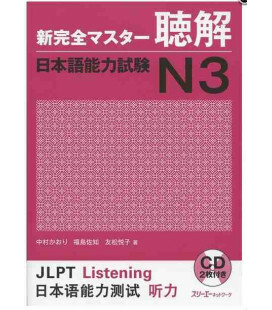 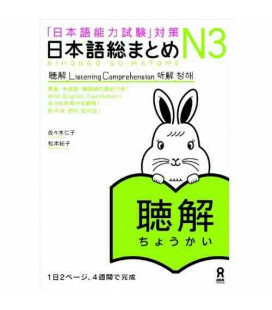 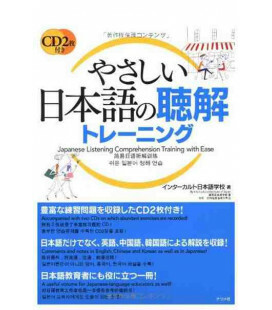 Listening Training [Listening Comprehension and Listening while Reading Comprehension] for the Examination for Japanese University Admission for International Students - Lower Intermediate. 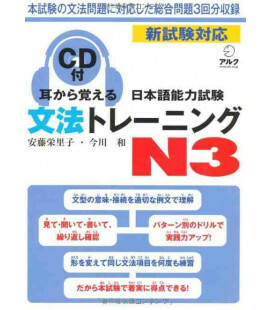 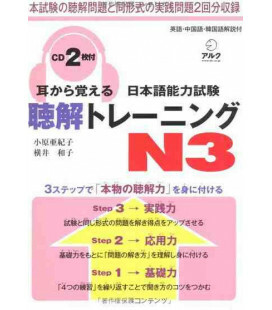 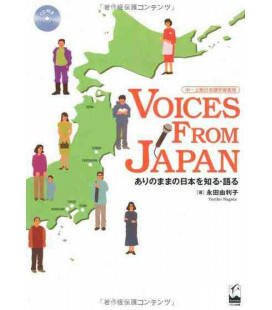 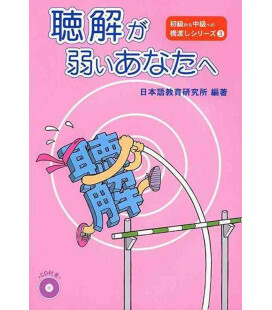 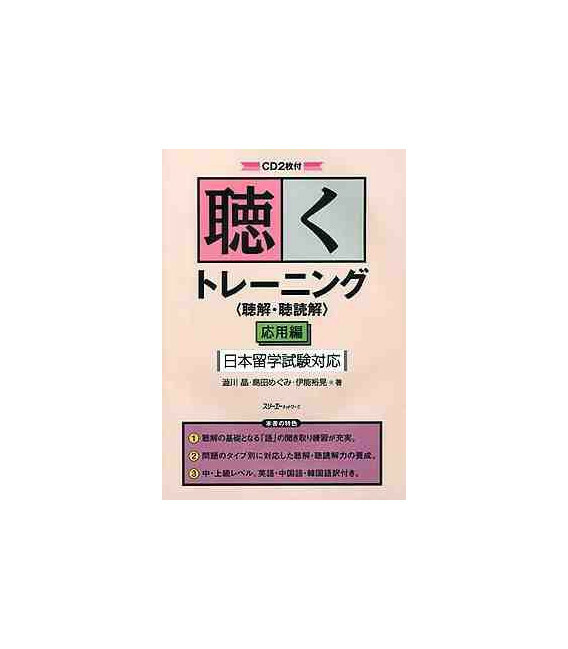 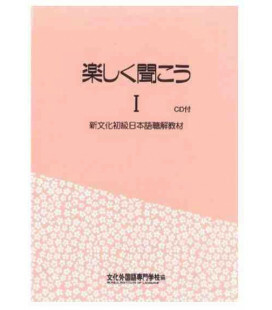 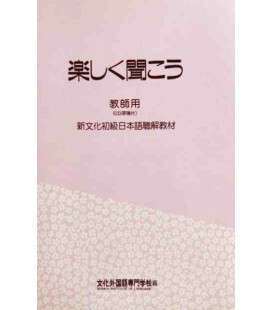 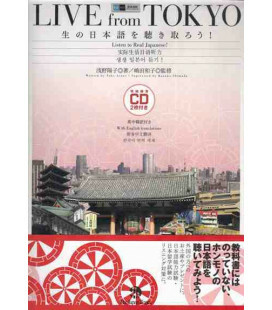 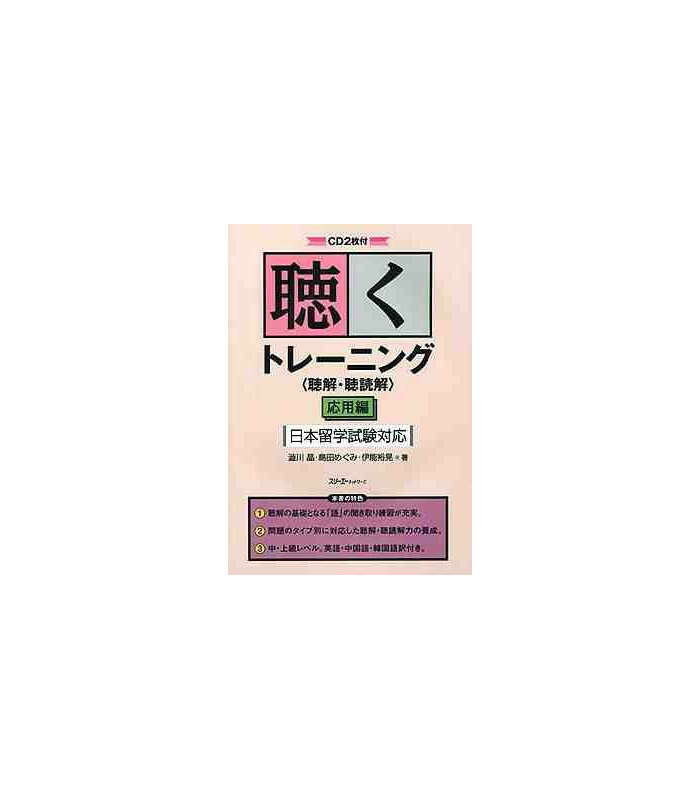 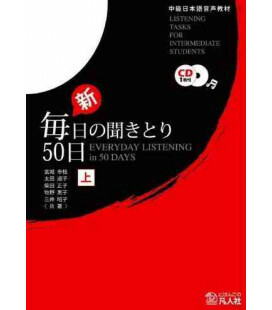 This is not merely a book that prepares the learner for the Examination for Japanese University Admission for International Students; it also allows him/her to practice and enhance his/her listening and listening while reading skills. 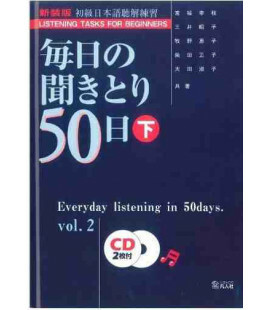 The learner can practice how to differentiate between similar sounds while also gaining hands-on practice of questions in the same format as the listening and listening while reading comprehension questions of the Examination for Japanese University Admission for International Students. 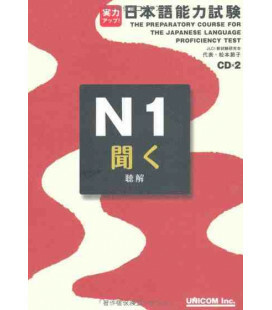 With explanations and vocabulary provided in English, Chinese and Korean, this is a book that can be used by learners at the upper beginner/lower intermediate level. 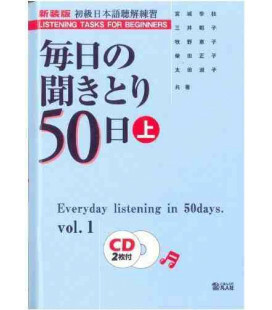 This section is basically all about listening practice. 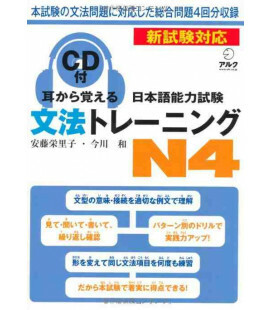 Under the three headings of 'Study and Research Life,' 'Campus Life,' and 'Daily Life,' the learner will practice how to listen for and identify basic words and expressions used in everyday college life. 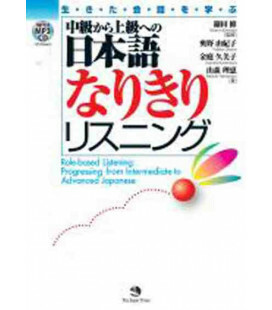 Based on the level of the vocabulary, the learner will do exercises aimed at making him/her differentiate between similar sounding words and listen for patterns of expressions used in spoken language. 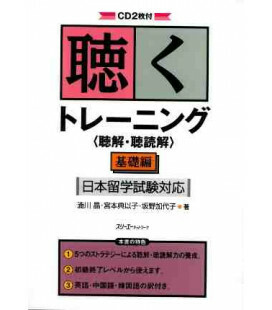 Based on the format of the Examination for Japanese University Admission for International Students, this section provides the learner with clues as to how to answer the questions through solving example questions. 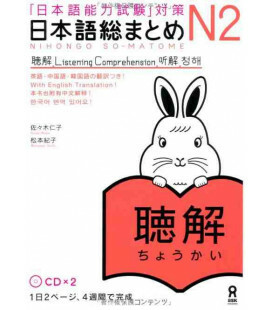 Under such headings as 'Focusing on one point,' 'Selecting one suitable condition from what is left after eliminating information,' 'Matching visual information with keywords in spoken information,' etc., the text explains various strategies for dealing with listening comprehension texts. 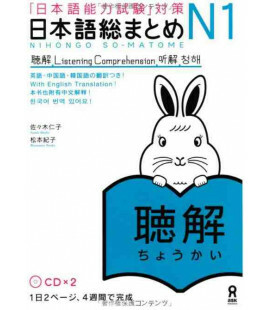 The exercises in this section are in the same format as the Examination for Japanese University Admission for International Students, so that the learner can test the listening comprehension and listening while reading comprehension skills he/she gained in Parts 1 and 2.